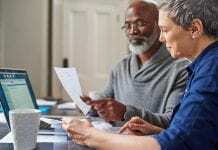 Nearly all brokerage firms, investment counselors, financial planners and other investor service organizations charge commissions on buys or sells they make on your behalf. It can be worthwhile to examine what you are obtaining in return for this cost. If you are fully educated in the field of investments and confident in making your own investment decisions, then seeking the services provided by a discount wire-house may be appealing to you. However, you typically get what you pay for and, therefore, when you need advice, guidance and personalized service well beyond a simple option of “buy” or “sell,” it may be to your considerable advantage to seek the services of a trained professional. Trustworthy customer service is of paramount importance, especially when it comes to your investments. 1. An actual voice at the other end of the telephone. In today’s world, it is far more common to reach automated voice mail or a computerized menu system than it is to speak to a real human being. When customer service is a priority for a company, a live person will most often be there to actually answer your questions and provide needed assistance. 2. Individual understanding of your specific situation. We do not live in a “cookie-cutter” society; each client or prospect is completely unique. Good customer service takes this into account, and strives to fully grasp your investing history, risk tolerance and your current investment goals before advising you further. 3. Beneficial connections provided to you. There are times that you will need a related service that the investment counselor does not provide, such as that of an attorney. Lengthy experience within a specific industry means long-term associations and gathering of worthwhile contacts – and through good customer service the client can be the beneficiary of such contacts. 4. In case of emergency, you are a priority. Good customer service does not only exist in “fair weather.” In the tougher times, you may need even more personalized assistance. Premium customer service means that the company strives to be there when you need them. 5. Investing expertise. A company that charges a commission may do that so they can support a full-service infrastructure. This infrastructure not only exists for the benefit of the company, but also as a service to you. It may contain elements such as detailed research, analysis and monitoring functions, along with experienced and knowledgeable personnel that aim to be there when you need them. 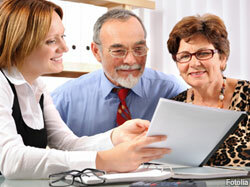 Many investors can benefit from the experienced guidance and assistance provided by investment counselors. That guidance usually comes with quality customer service – and may be well worth the price.